Folks it time to recheck your "Shelter in Place" boxes and make sure the supplies are good, batteries ready to go, cycle in some fresh tape and take the old tape out for "normal use". Get your HEPA filters going, and start dosing up on anti-oxidants. The melted cores are huge, around 100 tons, and they are hell on earth. 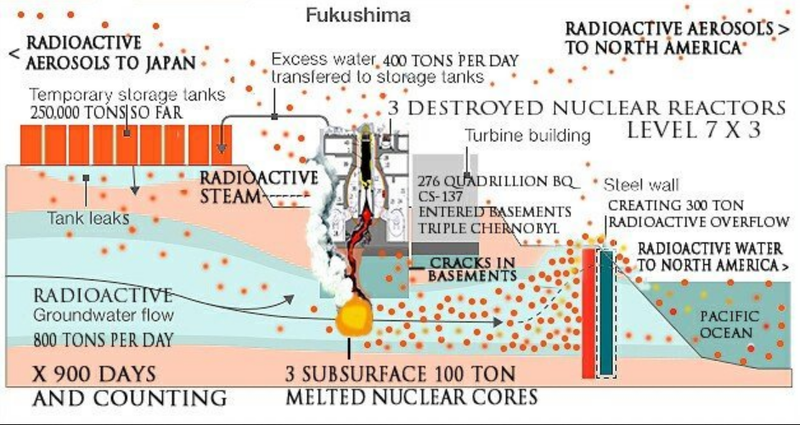 If they are cooled or separated they won't "go off", but if they are jostled by an earthquake, or the cooling water stops, they can start an uncontained nuclear reaction, which could be happening now. Most of 3 cores (now called corium) are deep under the buildings, impossible to get to. This is not good. Japan Gov and TEPCO have been colluding for years to cover up the real situation. And the USA who pushed them into nuclear 50 years ago, now see China as a real threat to "our buddies" in Japan if Japan cannot compete in manufacturing because they can't use the "cheap electricity" that their 50 nuke plant can provide. 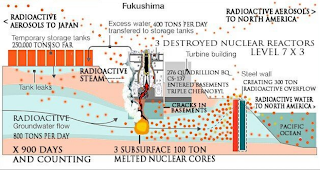 USA has stated, this year that Japan's shut down nuke plants are a security threat to the USA. So don't expect the corrupt bloated government of the USA to do anything smart here. Japan is now saying "every minute counts" we need international advice. When they are starting to fess up and ask for help, rest assured the reality is 10 times worse than they are stating. Where is the data for recent detections of Iodine-131 by radnet? Could not find original information source, sorry. I spent a few hours debunking per your request. Much of his perspective on radiation knowledge is VERY GOOD.